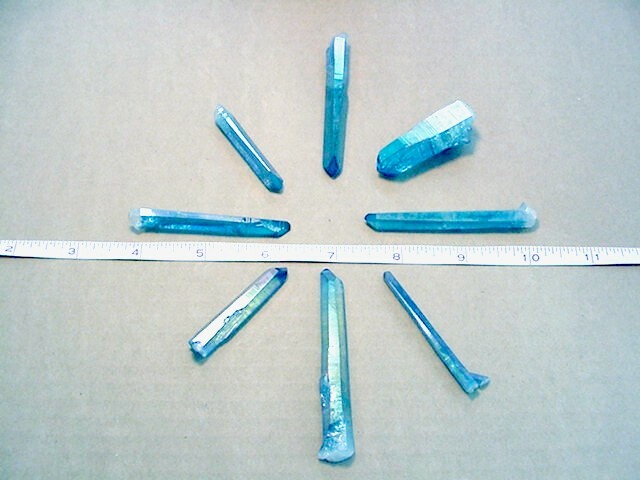 To achieve this brilliant display of color, we treat our Arkansas Quartz Crystals with gold, etc. This is done via an electrostatic process whereby the crystals are put into a vacuum and charged opposite the gold. Heat is applied. The gold is then put into the vacuum and it "clings" to the crystals. 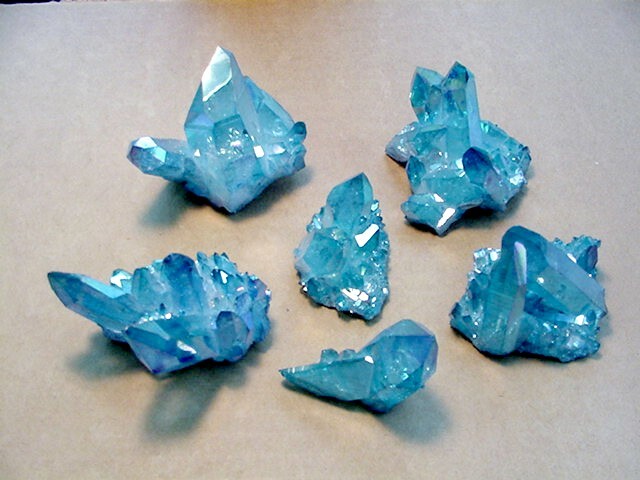 The crystals are then turned over and the process is repeated, so that all areas are covered. True Aqua Aura. Permanent color. Treated with Gold on both sides. $250.00/lb. True, made with gold. You specify length and quantity.